Alexandra's first scheduled air service was operated by Southern Scenic Airways which included Alexandra as a stop on its Queenstown to Dunedin air service. The last company to operate through Alexandra operated the same Dunedin-Alexandra-Queenstown. This last installment of air services through Alexandra focuses on Mainland Air and their brave attempt in 2007 and 2008 to connect Dunedin with Central Otago and Invercargill. Mainland Air Services was established in 1991 by Queenstown businessman Christopher Kelliher. 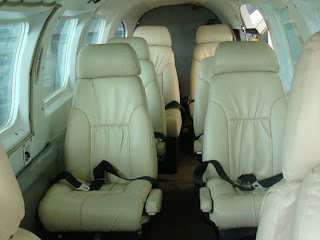 From the beginning, the company was involved in charter work including air ambulance transfers. The company, in addition to its single-engined aircraft, has operated a number of Piper Pa34 Senecas and Piper Pa31-350 Navajo Chieftains which have been used on airline services. A couple of examples of Mainland Air's single fleet. Above, Cessna 182P Skylane, ZK-FIW (c/n 182-64206) and below, Cessna 172N Skyhawk, ZK-JAF. Both photos were taken at Dunedin on 13 July 1994. ZK-TBF, the first Piper Pa34 Seneca at Dunedin on 17 September 1992. From 1995 to 2006 these twins were regularly used on courier work between Dunedin and Christchurch for New Zealand Post. The frequency of these courier flights varied over the years. In 2003 Mainland Air also had a six month contract with the Bank of New Zealand to carry bank tapes from Invercargill to Dunedin. Piper Pa34 Seneca, ZK-DCP, at Dunedin on 13 July 1994. The first Piper Pa31-350 Chieftain and still part of the Mainland Air fleet, ZK-KVW at Dunedin on 6 August 2001. For some years Mainland Air had been flying medical staff to Alexandra and Invercargill on charter flights. Building on this work the company announced in 2007 their intention to establish a thrice weekly service from Dunedin to Alexandra and Queenstown enabling public usage of these charter services. Alexandra had been without an air service since Mount Cook Airlines had ceased their Queenstown-Alexandra-Dunedin service in 1991. To to prepare for the new air service the Central Otago District Council spent $54,000 on upgrading the Alexandra passenger terminal. The terminal was originally built in 1962 to cater for the SPANZ flights. Mainland Air’s Central Otago service began on the 5th of November 2007 on a four month trial. Return flights were offered on Mondays, Tuesdays and Fridays with the Chieftain departing Dunedin at 8.00am, to arrive in Alexandra at 8:30am and Queenstown at 8:55am. The return flight departed from Queenstown at 9:20am to arrive in Dunedin at 10:15am. The afternoon flight to Alexandra and Queenstown departed Dunedin at 3:15pm. The first flight carried only two passengers, both bound for Alexandra and initially bookings were slow, with only "twos and threes." By mid January the company owner, Chris Kelliher, told the Southland Times that there were three to four people on each flight, who were mainly business people and professionals. A third of these passengers were bound for Alexandra. After the air service to Alexandra ended, Piper Seneca ZK-LSP was at Alexandra on 16 January 2009. In March 2008 Mainland Air announced a new three day a week service between Dunedin and Invercargill. Initially the company proposed flights on Mondays, Wednesdays (two return services) and Fridays using with the 10-seat Piper Chieftains or 6-seat Seneca aircraft as need dictated. Mainland was again building on their existing at least six times a month charter flights that operated between the two cities. An interesting feature of Mainland Air’s services was that they offered a free shuttle into the city from the Dunedin airport to alleviate taxi fares. All seemed positive with company director Chris Kelliher, who was living at Chicago at the time, saying how pleased he was with the success of the Central Otago run and that he was looking at the possibility of a faster aircraft to take over the Dunedin-Alexandra-Queenstown route. The Dunedin-Invercargill service started on the 16th of April 2008 with six passengers on board the first flight. In response to customer feedback the return services were operated twice a day on Monday, Wednesday and Friday mornings and again in the early evenings. At this time the company was also considering adding flights to Wanaka and Te Anau interests were pushing for a service to their new airport at Manapouri. Piper Seneca ZK-JAS on a very wet day at Invercargill on 26 July 2006. It was soon retrenchment, however, rather than expansion that happened. At the end of May 2008, six weeks after launching the service, the company ended their Dunedin-Invercargill flights citing a lack of demand and high fuel costs. While the company intended maintaining the Central Otago route to Alexandra and Queenstown, it was announced on the 22nd of August 2008 that this service too had ceased due to low patronage. As with the Invercargill service passengers who had already booked had their flights honoured. In late 2009 Chris Kelliher sold the company to the Paterson family who owned Mainland’s major maintenance provider, Southair Ltd, at nearby Taieri airfield. The company continues to provide charter flights, air ambulance and pilot training. At the time of the sale Mainland Air owned a fleet of ten Cessna 152’s, a Tobago TB10, two Senecas and a Chieftain. It still continues operate regular charters to Alexandra and Invercargill for medical personnel. Some of the single engine fleet today. Above Cessna 152, ZK-NSD (c/n 15283209) on 7 February 2010 and, below, Socata TB 10, ZK-JIG (c/n 1603) on 9 February 2010. Both photos were taken at Dunedin. In October 2012 Mainland Air announced its intention to reintroduce, on a trial basis, flights from Dunedin to Queenstown and also flights between Dunedin and Christchurch. These plans were abandoned as was another plan to operate an Oamaru-Christchurch service. In late 2013 Mainland Air was sold to veteran Southland pilot Phil Kean and his wife Shirley. Phil had been Mainland Air's operating manager since 2007. At the time of the take-over he was reported as saying, "I was always keen to own an airline business and this opportunity came along at the right time. The business would continue to operate under the same structure but he planned to look at using faster aircraft in the near future. The new aircraft would mean flights to Auckland and Christchurch would be about 20 minutes faster." Expansion of the company occurred in 2014 when the company purchased a second Piper Chieftain, ZK-VIP, and introduced a scheduled service between Oamaru and Christchurch. The first flight was flown by Sven Thelning on Wednesday the 4th of June 2014 in Piper Pa31-350 Navajo Chieftain ZK-KVW. Seven flights are offered each week, with twice daily flights on Mondays, Wednesdays and Fridays as well as a return service on Sunday afternoons using the company's Chieftain or Seneca aircraft. Arriving into Christchurch this morning, Mainland Air's inaugural air service between Oamaru and Christchurch. Passenger numbers failed to build. At the end of July Shirley Kean was reported as saying "numbers had been too spread out. The service required five passengers on each round trip to be viable. The majority of flights averaged three passengers travelling to Christchurch, but none coming back. From the outset, the company had made it clear if the service did not work for it, it would be scrapped. We don't want to pull out," she said, "but if rescheduling doesn't work then we're out of there." The following month the company decided to end the Oamaru service. 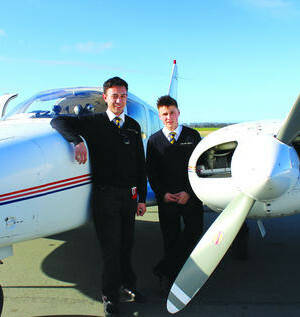 The final flight was operated by Piper Seneca ZK-LSP on 24 August 2014 under the command of Jordan Kean and Dan Veale. Mainland Air continue to operate regular charter flights from Dunedin to both Alexandra and Invercargill for medical staff from Dunedin hospital working in the hospitals at Alexandra and Dunedin. In 2015 their Piper Chieftain ZK-VIP was used for some months by Great Barrier Airlines and its successor Barrier Air. Demo flying to Air 2 There? Aero Commander for Golden Bay Air?